The latest addition to Ford’s popular compact SUV is a vehicle that mixes great towing and cargo capacity, safety features, and the latest convenience and infotainment features Ford has to offer. The 2018 Ford Escape is great for people looking for a do-it-all vehicle. It might not shine in one specific category but it offers everything individuals and small families need for everyday activities or the occasional adventure. This SUV will give you more room to play with along with some different options for the engine, trims, and accessories to tailor the vehicle to your personal tastes. The new 2018 Ford Escape (here in Cincinnati, Oh and everywhere else) starts with an I-4 2.5 L/152 engine, front wheel drivetrain, and 21/29 MPG (city/highway) fuel economy with a starting MSRP of $23,850. Need something more powerful with more traction? Higher trims come with the option of an Intercooled Turbo Regular or Premium Unleaded I-4 1.5 L/91 engine and all-wheel drive. Throw in up to 70 square feet of cargo space and you will have an SUV that will haul family, friends, and other things without any issues. Need more? Kings Ford has plenty of additional perks and deals to offer our customers because we believe in a quality product and service. Inside, the 2018 Ford Escape is packed with several technology packages that will make the driving experience more pleasant and safer all at once. For driving, the Escape includes an intelligent stability control system that keeps the vehicle within the required handling limits. This system can reduce engine power to keep speed under control. It also has control over the ABS brakes for situations where human input might not be enough to keep the vehicle from crashing. Brake pressure automatically changes during extreme situations and can improve overall turning performance under normal circumstances. Ford’s Curve Control kicks in during high-speed curves to detect when the vehicle is going too fast in the turn. The system will automatically reduce the throttle and apply the brakes to keep the SUV from flipping over from the speed. The four-wheel drivetrain comes with Ford’s intelligent drive system. When turned on, the system will automatically monitor road conditions and tire traction. Any imbalance will result in the transfer of torque from front to rear wheels or back to keep the power where it is needed the most. The Torque Vectoring Control, in addition to the Roll Stability Control, will also transfer torque during high-speed curves while monitoring wheel slip and roll motion using two built-in gyroscopic sensors. Infotainment-lovers will also appreciate the plethora of apps and compatibility that is all controllable using Ford’s voice-activated SYNC 3 technology. Notable apps include Spotify, Pandora, NPR One, and iHeartRadio you can use without a direct connection to your smartphone. With Bluetooth capability, you can also connect your smartphone to pipe music directly from the interior speakers or take calls using the vehicle’s microphone system. 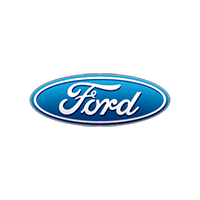 One final technological perk is the FordPass app that will make driving more convenient. Receive vehicle information, search for parking and local gas stations, compare gas prices, and more. The FordPass app syncs up with the same app on your phone so you can take advantage of additional features like remote start or advanced help. 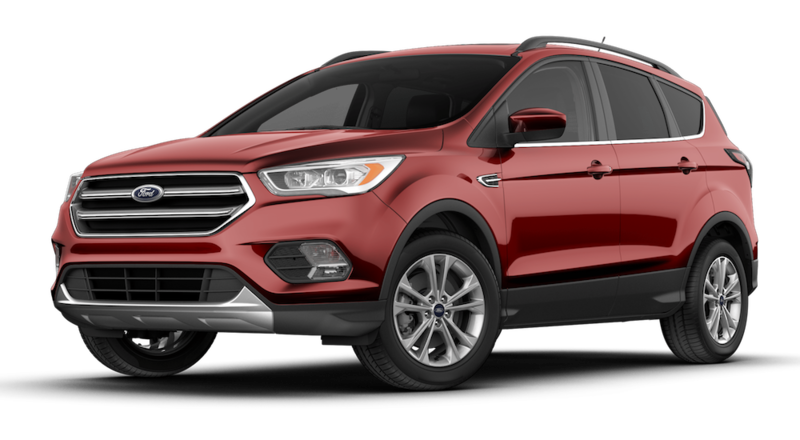 For individuals or small families, the 2018 Ford Escape is a must have in terms of safety features. The overall size of the SUV is large enough to be noticed on the road without sacrificing too much maneuverability. The exterior, in particular, places the driver higher in a more visible position. One of the most distinguishing features of this model is the plethora of airbags you won’t find in comparable models. Inside, the model comes with a standard set of front driver and passenger airbags, front side airbags, and head/knee airbags for an extra layer of protection using Ford’s own Personal Safety System. This system intelligently works to detect the start of a crash, tension the seatbelts for the best seating position, and deploy the airbags all at the appropriate times. The Adaptive Cruise Control, Forward Collision Warning system, Blind Spot Information System, and Lane-Keeping system all enhance the driving experience to prevent an accident due to common human error. Warning alerts will sound and flash inside the car before a front end impact, when a vehicle enters into a blind spot, or during lane slippage. If corrections aren’t made by the driver, the vehicle can automatically apply brakes or apply directional torque to prevent a major incident without driver input. Finally, the SUV comes equipped with an ignition device that will prevent the engine from starting without the proper key. This will prevent unwanted visitors from driving or hot wiring the car. With a mid-year redesign in 2016, the 2018 Ford Escape retains many of the same design features from last year’s model. Overall, this vehicle strikes a good balance between decent aerodynamics and interior space/performance capacity. The thing many people find attractive about a crossover SUV is the additional power you will get from a beefier engine. Without the larger size of a true SUV or truck, the 2018 Ford Escape keeps the gas mileage lower while providing enough power to tow a maximum of 2,000 lbs. Best of all, the SUV gives you options to have a more fuel-efficient engine or more powerful option depending on your needs and budget. The base 2.5L four-cylinder engine delivers a respectable 168 horsepower and 21/29 MPG (city/highway) fuel economy with Ford’s EcoBoost technology. The drivetrain is automatic with a manual option for off-roading or bad weather driving. With forward wheel drive and a towing capacity of 1,500 lbs, this engine option is definitely geared for the more fuel conscious customer. On the higher end, the four-cylinder turbo engine comes in regular and premium unleaded versions. Total horsepower is 245 with a fuel economy of 20/27 (city/highway). Since fuel efficiency isn’t drastically lower than the base engine, the higher end option is a good choice if you need extra power without denting the wallet too much. This engine also comes with forward or all-wheel drive options depending on the trim. For ultimate towing capacity, the Escape’s 2.0L EcoBoost Class II Trailer Tow Package offers a maximum rating of up to 3,500 lbs. What can you expect when doing business at Kings Ford? That is simple: competitive prices and quality customer service. We believe in treating all our existing and potential customers as valued guests. The fact is, it’s never easy to find the car, SUV, or truck that you need for your daily grind. With so many choices out there, we also recognize that we need to stand out amongst our competitors to get your business. More importantly, you deserve to find a great vehicle at a competitive price. At Kings Ford, we specialize in helping our customers find the right vehicle they need and can afford. If you come onto our lot knowing exactly what you want, we can help you get the ball rolling with a test drive of the vehicle and an overview of what you will be paying. If you don’t know what you want, we can help you research and test out different options to see what best meets your needs. From our small, fuel-efficient cars to our high towing capacity trucks, we have something for everyone. Ford is a brand that is all about reliability, safety, and performance. As a car dealership, we echo these values in everything that we do. Our mechanics have access to the best Ford parts and accessories, and our staff knows how to hone in on your wants and needs so we aren’t wasting your time with options you don’t want. 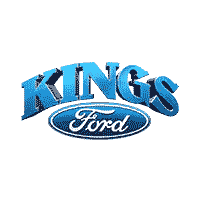 With Kings Ford, you will be treated like the valued customer that you are.